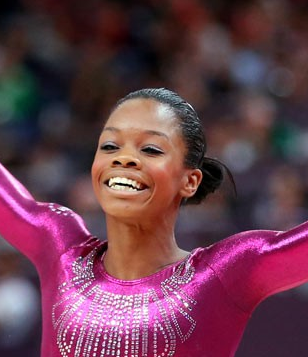 The 2012 summer olympics in London were a showcase of more than just talent. From their medals to their leos many US gymnasts were decorated in gold, glory, and glitz. 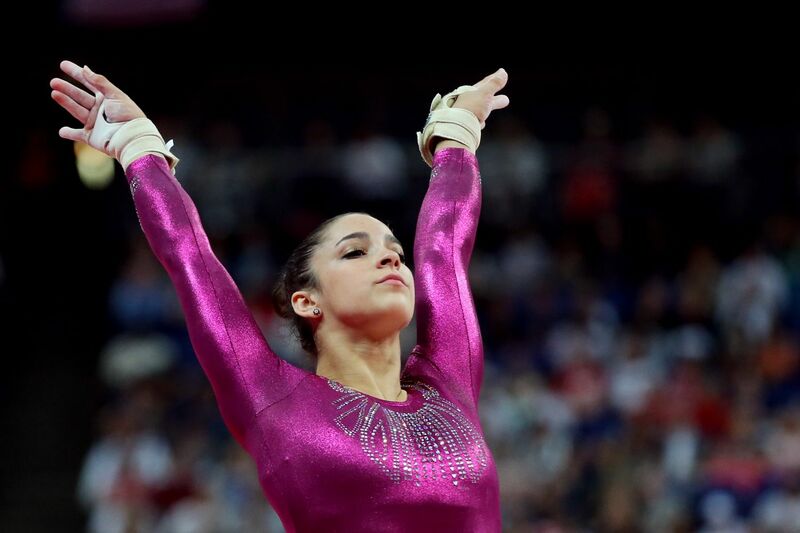 Aly Raisman wore many different leos that sparkled and shined right along with her. Almost all of her leos were made with a fabric called mystique. Mystique is a nylon fabric outfitted with foil dots making it appear very shiny. In addition to the fabulously shiny material all of Aly’s leos were bedazzled with Swarvoski Crystals. 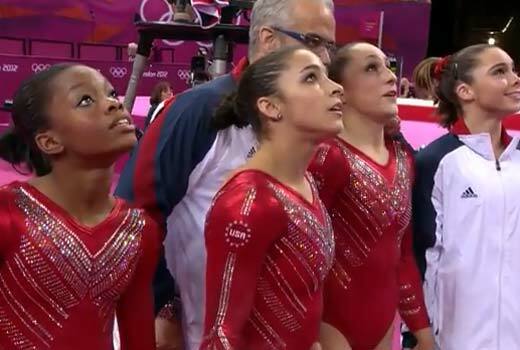 Aly wore four of the eight provided leos for televised competition. During the qualifier Aly and her teammates wore indigo leos with star bedazzled mesh accents. A dazzling red leo made an appearance during the team final. Studded front to back and down the arms with crystals, this leo provided just as much sparkle as USA’s team gold. My least favorite leo appeared during the all around competition. Aly wore a magenta leo with a crystal neckline. Aly did save the best for last during event finals, wearing a leo that was very reminiscent to the flag inspired leos of Mary Lou Retton. The only difference was the fabulous amounts of sparkle added down the arms and around the neckline. Hey guys, great news today! I found how to add more bloggers, so it turns out you can guest blog about Olympic Leotards with me! Add a comment if you’re interested and know something about gymnastics. With the Olympics being the hottest event right now, especially gymnastics, many girls are interested in taking gymnastics and dressing exactly like the Team USA’s Olympic gymnasts. Discount Leotards has many Olympic and USA inspired leotards to choose from. They have very reasonable prices. The leotards that look the most like the gymnastics’ leotards the gymnast wore in the Olympics are backordered currently. GK brand leotards are considered to be the most recognizable brand of leotards. They have many different styles of Olympic inspired leotards for girls of all ages. These leotards are a lot pricier than leotards found on other sites. Leotard World sells several different types of gymnastic wear similar to the leotards worn by the gymnasts in the Olympics. 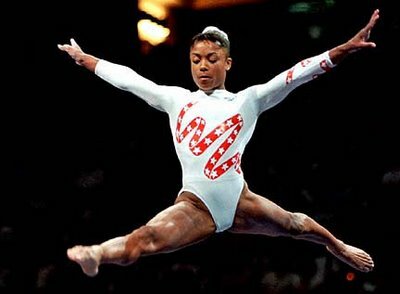 They even sell a leotard that is similar to the one that Gabby Douglas wore one of the nights that she won a gold medal. Unfortunately, this site does not offer as many leotards as many other sites. Bee Leotards offers many different leotards and styles including ones that are similar to what was worn in the Olympics. However, they will not refund shipping and handling if a customer is dissatisfied with their purchase. Dancewear Solutions has not only Olympic inspired leotards, but a wide variety of leotards for dance. Unfortunately they have a very limited selective of long sleeved leotards. 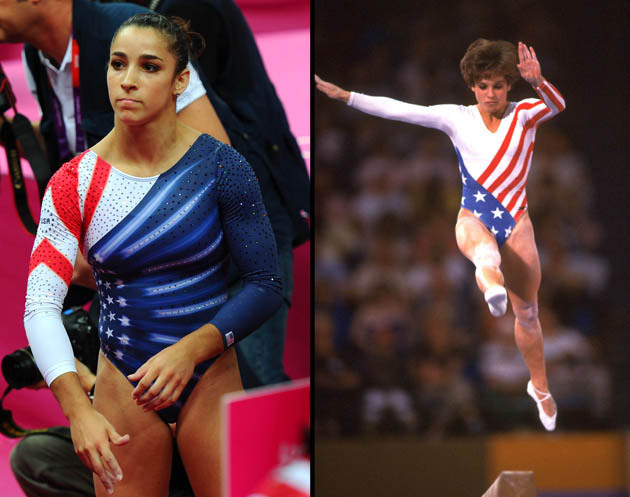 Leotards have changed so much through the years. In designing your own leotards, you should look at old designs — so often in fashion, what’s old becomes new! If you really want to be the best leotard designer you can, look back. Far back. Back to the days… of the first olympics! 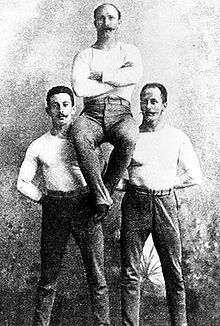 The first-ever 1896 Summer Olympics starts us off with mustached men in what looks like their pajamas. Unfortunately, women weren’t allowed in the 1896 Summer Olympics, so comparing these outfits to the stylish leotards of today just wouldn’t be fair. 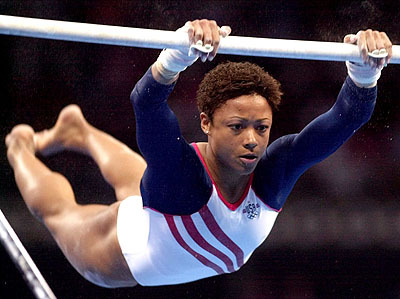 Dominique Dawes won medals in three consecutive olympic games — 1992, 1996 and 2000. Even just during her time, you can see the progress that women’s olympic leotards make. Shawn Johnson (gold medalist, 2008) was the big name this year. This was a red leo of hers. Look at how similar her form is to the next picture. 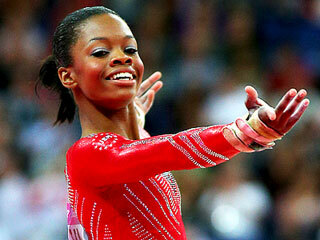 Here was her famous red, white and blue-colored leo from her beam routine. 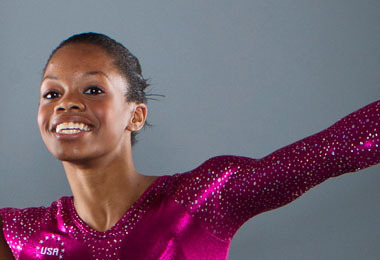 In the most recent olympics, Gabrielle (Gabby) Douglas is the trend setter in olympic fashion. And this is her incredible sparkly pink leo. That’s all for now, you should comment about what you think of these leotards throughout the years, and what parts you want to use in your own designs!